Leonardo Wilhelm DiCaprio (/dɪˈkæprioʊ/, Italian: ; born November 11, 1974) is an American actor, film producer, and environmentalist. He has been nominated for six Academy Awards, four British Academy Film Awards and nine Screen Actors Guild Awards, winning one of each award from them and three Golden Globe Awards from eleven nominations. 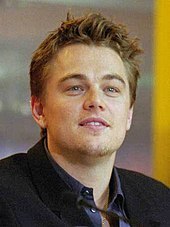 DiCaprio began his career by appearing in television commercials in the late 1980s. He next had recurring roles in various television series, such as the soap opera Santa Barbara and the sitcom Growing Pains. He debuted in his film career by starring as Josh in Critters 3 (1991). He starred in the film adaptation of the memoir This Boy's Life (1993), and received acclaim and his first Academy Award nomination for his supporting role in What's Eating Gilbert Grape (1993). He gained public recognition with leading roles in The Basketball Diaries (1995) and the romantic drama Romeo + Juliet (1996). He achieved international fame as a star in James Cameron's epic romance Titanic (1997), which became the highest-grossing film of all time to that point. In 1992, alongside Drew Barrymore, Sara Gilbert, Tom Skerritt, and Cheryl Ladd, he played a supporting role in the first installment of the Poison Ivy film series. It was nominated for the 1992 Grand Jury prize of Best Film at the Sundance Festival and received a nomination at the Independent Spirit Awards. In 1992, DiCaprio was handpicked by Robert De Niro out of 400 young actors to play the lead role in This Boy's Life adapted from Tobias Wolff's memoir of the same name. He played opposite De Niro, who was acting as his stepfather, and Ellen Barkin as his mother. The film was directed by Michael Caton-Jones and released in 1993. In 1993, DiCaprio co-starred as the mentally handicapped brother of Johnny Depp's character in What's Eating Gilbert Grape, a comic-tragic odyssey of a dysfunctional Iowa family. Director Lasse Hallström admitted he was initially looking for a less good-looking actor but finally settled on DiCaprio as he had emerged as "the most observant actor" among all who auditioned. 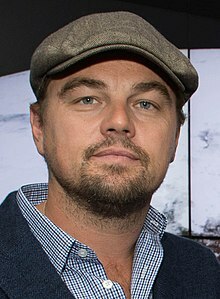 Budgeted at US$11 million, the film became a critical success, resulting in various accolades for DiCaprio, who was awarded the National Board of Review Award and nominated for both an Academy Award and a Golden Globe for his portrayal. New York Times critic Janet Maslin praised DiCaprio's performance, writing "the film's real show-stopping turn comes from Mr. DiCaprio, who makes Arnie's many tics so startling and vivid that at first he is difficult to watch. The performance has a sharp, desperate intensity from beginning to end." DiCaprio's next project was the drama film The Beach (2000), an adaption of Alex Garland's 1996 novel of the same name. He played an American backpacking tourist looking for the perfect way of life in a secret island commune in the Gulf of Thailand. Budgeted at $US50 million, the film became a financial success, grossing $US144 million worldwide, but as with DiCaprio's previous project, the film was negatively reviewed by critics. Todd McCarthy of Variety noted that "Richard [DiCaprio's role] is too much the American Everyman and not enough of a well-defined individual to entirely capture one's interest and imagination, and DiCaprio, while perfectly watchable, does not endow him with the quirks or distinguishing marks to make this man from nowhere a dimensional character." The next year, he was nominated for another Razzie Award for his work on the film. In 2018, he produced Delirium, a psychological horror film directed by Dennis Iliadis. It stars Topher Grace, Patricia Clarkson, Callan Mulvey and Genesis Rodriguez. The film is about a man (Grace) who inherits a mansion from his deceased wealthy father after being released from a mental institution. Strange events lead him to wonder if the house is haunted or if his mind is playing tricks on him. On August 10, 2015, it was announced that Martin Scorsese will direct an adaptation of Erik Larson's The Devil in the White City, which will star DiCaprio with a screenplay to be written by Billy Ray. In October 2015, Appian Way acquired the movie rights for a book about the Volkswagen emissions scandal. On October 21, 2016, it was announced that DiCaprio will portray Sam Phillips, founder of Memphis-based Sun Studio, in the forthcoming film based on Peter Guralnick's book Sam Phillips: The Man Who Invented Rock 'N' Roll. In 2017, Paramount announced that it has acquired the movie rights for an English language adaptation of The Black Hand. The new film, due for release in 2019, will star DiCaprio as Joe Petrosino, and will be partly based on Stephan Talty's novelization of Petrosino's assassination. In August 2017, Paramount won a bidding war against Universal Pictures for the rights to adapt Walter Isaacson's biography of Leonardo da Vinci. The studio bought the rights under its deal with DiCaprio's Appian Way Productions, which said that it planned to produce the film with DiCaprio as the star. As of September 2018[update], DiCaprio is set to star in Roosevelt, a biopic of former U.S. President Theodore Roosevelt; Martin Scorsese will direct and Paramount Pictures will distribute, with DiCaprio's Appian Way producing. The film does not yet have a release date. In January 2018, it was announced that DiCaprio is planned to star as Rick Dalton, an aging TV actor, in Quentin Tarantino's upcoming film Once Upon a Time in Hollywood about the Manson Family murders. In October 2018, he was cast in the Martin Scorsese-directed film adaptation of the David Grann's New York Times bestseller book Killers of the Flower Moon. During the 2004 presidential election, DiCaprio campaigned and donated to John Kerry's presidential bid. The FEC showed that DiCaprio gave $2,300 to Barack Obama's presidential campaign in the 2008 election, the maximum contribution an individual could give in that election cycle, and $5,000 to Obama's 2012 campaign. In June 2017, DiCaprio returned an Oscar won by Marlon Brando, together with other artifacts he received from business associates at Red Granite Pictures as his 38th birthday gift, to the US government amid an investigation into the 1Malaysia Development Berhad scandal. In April 2017, he promoted and protested President Trump's inaction on climate change by attending the 2017 People's Climate March. Leonardo DiCaprio is identified as one of the most active celebrities in the climate change movement. Not only did he highlight the topic at the Oscars but he is a constant source of information on the matter. Many political figures welcome high-profile influencers such as actors as Leonardo DiCaprio or artists to address political causes, environmental or not, "because of the high recognition that celebrities have", states Eric T. Kasper, an associate professor of political science. He claims that much of the public feel a personal connection to the stars after experiencing emotion from them in so many different ways on the big screens. While budgets in the science and technology sector are declining as well as interest in newspapers and scientific journal series, it is important to have more familiar faces and voices such of those from celebrities to represent the importance of subjects such as climate change. In 1998, DiCaprio and his mother donated $35,000 for a "Leonardo DiCaprio Computer Center" at the Los Feliz branch of the Los Angeles Public Library, the site of his childhood home. It was rebuilt after the 1994 Northridge earthquake and opened in early 1999. During the filming of Blood Diamond, DiCaprio worked with 24 orphaned children from the SOS Children's Village in Maputo, Mozambique, and was said to be extremely touched by his interactions with the children. In 2010, he donated $1 million to relief efforts in Haiti after the earthquake. In April 2013, DiCaprio donated $61,000 to GLAAD, an organization which promotes the image of LGBT people in the media. After Hurricane Harvey in 2017, Leonardo DiCaprio provided $1 million to the United Way Harvey Recovery Fund through his foundation. ↑ "Leonardo DiCaprio". Encyclopædia Britannica. Archived from the original on July 19, 2015. Retrieved July 29, 2015. ↑ Letran, Vivan (August 19, 2000). "DiCaprio Boosts Artist's Show". Los Angeles Times. Archived from the original on October 13, 2015. Retrieved July 29, 2015. 1 2 3 Catalano, Grace (February 1997). Leonardo DiCaprio: Modern-Day Romeo. New York City: Dell Publishing Group. pp. 7–15. ISBN 0-440-22701-1. ↑ "Leonardo DiCaprio; Scumsville superstar; His Parents Were Hippies and He Grew Up in the Poorest Part of Town – The People (London, England) – Questia Online Library". Questia Online Library. April 19, 1998. Retrieved January 13, 2009. ↑ "Poverty and family split spurred Leo to pounds 3m a film Titanic stardom; Gran tells of screen idol's battle". Questia Online Library. January 28, 1998. Retrieved January 13, 2009. ↑ Nickel Anhalt, Karen (August 6, 2008). "Leonardo DiCaprio's Grandmother Dies". People. Archived from the original on September 21, 2015. Retrieved August 11, 2015. ↑ Silverman, Stephen M. (April 22, 2003). "Russians Lift Vodka Glasses to DiCaprio". People. Archived from the original on July 22, 2015. Retrieved August 12, 2015. ↑ "Vladimir Putin: Leonardo DiCaprio is a 'real man'". The Daily Telegraph. November 24, 2010. Archived from the original on January 16, 2012. Retrieved August 8, 2011. ↑ "Vladimir Putin: Leonardo DiCaprio is a 'real man'". The Daily Telegraph. November 24, 2010. Archived from the original on July 14, 2015. Retrieved August 12, 2015. ↑ Green, Jesse (February 12, 1995). "FRESH BLOOD; LEONARDO DiCAPRIO". The New York Times. Archived from the original on August 9, 2016. Retrieved June 14, 2016. ↑ "Los Angeles Center For Enriched Studies: Facts about LACES". Los Angeles Center for Enriched Studies. Archived from the original on January 15, 2014. Retrieved May 15, 2013. ↑ Slavicek, Louise Chipley (2012). Leonardo DiCaprio. New York: InfoBase Learning. ISBN 9781438141336. Archived from the original on April 4, 2017. Retrieved September 26, 2014. ↑ "Leonardo DiCaprio from High School Dropouts". E!. Archived from the original on October 22, 2014. Retrieved September 26, 2014. 1 2 3 4 5 6 O'Neill, Anne-Marie (January 26, 2001). "Riding The Wave". People. Archived from the original on January 9, 2011. Retrieved August 2, 2010. ↑ "Did You Know Leonardo DiCaprio Started in Commercials?". Backstage.com. Retrieved July 23, 2018. ↑ "An Adorable Look Back at 8 of Leonardo DiCaprio's Early TV Commercials". InStyle.com. Retrieved July 23, 2018. ↑ "Leonardo DiCaprio through the years". Archived from the original on July 25, 2014. Retrieved June 27, 2014. ↑ Schwartz, David, Steve Ryan and Fred Wostbrock. The Encyclopedia of TV Game Shows, 3rd Edition. New York: Checkmark Books, 1999, page 80. 1 2 3 Harmetz, Aljean (December 12, 1993). "The Actor Is Boyishly Handsome, and That's a Liability". The New York Times. Archived from the original on July 17, 2010. Retrieved August 2, 2010. ↑ "What's Eating Gilbert Grape (1993)". The-Numbers. Archived from the original on May 19, 2014. Retrieved August 2, 2010. ↑ Maslin, Janet (December 17, 1993). "Movie Review: What's Eating Gilbert Grape". The New York Times. Archived from the original on January 3, 2014. Retrieved July 30, 2010. ↑ "The Quick and the Dead (1995)". The-Numbers. Archived from the original on September 2, 2014. Retrieved August 2, 2010. ↑ Green, Jesse (February 12, 1995). "Fresh Blood". The New York Times. Archived from the original on January 27, 2012. Retrieved August 2, 2010. ↑ "Total Eclipse (1995)". The-Numbers. Archived from the original on February 20, 2014. Retrieved August 2, 2010. ↑ Travers, Peter (April 21, 1995). "The Basketball Diaries". Rolling Stone. Archived from the original on August 27, 2015. Retrieved August 26, 2015. ↑ "Romeo + Juliet (1996)". Box Office Mojo. Archived from the original on January 25, 2009. Retrieved January 13, 2009. ↑ Marks, Peter (December 8, 1996). "Two Wrenching Dramas Find Unexpected New Lives". The New York Times. Archived from the original on February 2, 2009. Retrieved July 13, 2010. ↑ Schwarzbaum, Lisa (December 20, 1996). "Marvin's Room (1996)". Entertainment Weekly. Archived from the original on July 16, 2015. Retrieved August 2, 2010. ↑ "Titanic. Man Overboard!". Entertainment Weekly. November 7, 1997. pp. 1–7. Archived from the original on February 15, 2015. Retrieved January 24, 2010. ↑ "Worldwide Grosses". Box Office Mojo. Archived from the original on January 28, 2010. Retrieved January 20, 2009. ↑ Hiscock, John (December 4, 2004). "Leonardo DiCaprio's Magnificent Obsessive". The Daily Telegraph. London. Archived from the original on December 23, 2010. Retrieved August 3, 2010. ↑ Winston, Sherri (May 5, 1998). "Leomania / Like Sinatra, Elvis And The Beatles Before Him, The Young Star Of Titanic Is Turning The World Of Teen-age Girls Upside Down". Sun-Sentinel. Archived from the original on October 23, 2015. Retrieved October 23, 2015. ↑ Busch, Anita M. (March 6, 1998). "Was Leonardo Robbed?". Entertainment Weekly. Archived from the original on July 15, 2015. Retrieved November 23, 2013. ↑ "What's Eating Leonardo DiCaprio". Time. February 21, 2000. Archived from the original on January 22, 2014. Retrieved January 13, 2009. ↑ The Man in the Iron Mask Archived July 26, 2010, at the Wayback Machine Rotten Tomatoes. Retrieved May 8, 2010. ↑ "The Man in the Iron Mask (1998)". The-Numbers. Archived from the original on November 29, 2014. Retrieved July 13, 2010. ↑ Gleiberman, Owen (March 12, 1998). "The Man in the Iron Mask (1998)". Entertainment Weekly. Archived from the original on October 3, 2015. Retrieved July 13, 2010. ↑ "The Man in the Mask (1998) – Leonardo DiCaprio: his career in pictures". The Daily Telegraph. Archived from the original on April 10, 2015. Retrieved September 4, 2015. ↑ "The Beach (2000)". The-Numbers. Archived from the original on March 14, 2014. Retrieved August 3, 2010. ↑ "The Beach (2000)". Rotten Tomatoes. Archived from the original on August 31, 2008. Retrieved August 27, 2008. ↑ McCarthy, Todd (February 7, 2000). "The Beach Review". Variety. Archived from the original on August 12, 2014. Retrieved August 3, 2010. ↑ "A glimpse of Leo the young lion". The Daily Telegraph. February 16, 2001. Archived from the original on February 28, 2016. Retrieved August 26, 2015. 1 2 "Scorsese's Gang Of Acting Heavyweights". The Age. Melbourne. February 10, 2003. Archived from the original on August 6, 2010. Retrieved August 3, 2010. ↑ "Gangs of New York (2002)". The-Numbers. Archived from the original on November 25, 2013. Retrieved August 3, 2010. ↑ "Leonardo DiCaprio: Ranking His Movie Roles". Entertainment Weekly. Archived from the original on November 10, 2015. Retrieved August 11, 2015. 1 2 Thompson, Anne (December 22, 2002). "How Do You Like Your Leonardo DiCaprio? Butch Or Boyish? The Choice Is Yours". The Guardian. Archived from the original on November 4, 2013. Retrieved August 3, 2010. ↑ "Daily News – Catch Me If You Can". Extra. December 12, 2002. Archived from the original on December 8, 2008. Retrieved July 3, 2008. ↑ "Catch Me If You Can (2002)". The-Numbers. Archived from the original on November 22, 2013. Retrieved August 3, 2010. ↑ Ebert, Roger (September 25, 2002). "Catch Me If You Can (2002) Review". Chicago Sun-Times. Archived from the original on August 29, 2014. Retrieved August 3, 2010. ↑ "'Chicago' grabs 8 Golden Globe nominations". CNN. January 18, 2003. Archived from the original on July 10, 2015. Retrieved July 8, 2015. ↑ "The Aviator (2004)". Rotten Tomatoes. Archived from the original on September 28, 2009. Retrieved November 17, 2009. ↑ "2004 Golden Globe Awards nominees". USA Today. December 13, 2004. Archived from the original on March 4, 2016. Retrieved July 8, 2015. ↑ "Nominees & Winners for the 77th Academy Awards". Academy of Motion Picture Arts and Sciences. Archived from the original on January 1, 2016. Retrieved July 12, 2015. ↑ "France honours Scorsese and DiCaprio". BBC News. January 6, 2005. Archived from the original on December 15, 2014. Retrieved December 30, 2014. ↑ "Blood Diamond". Metacritic. Archived from the original on August 19, 2010. Retrieved June 29, 2010. ↑ Sancton, Julian (December 16, 2009). "Matt Damon vs. Leonardo DiCaprio: Whose South African (and Southie) Accent is Better?". Vanity Fair. Archived from the original on July 13, 2015. Retrieved August 11, 2015. ↑ "The Departed (2006)". Rotten Tomatoes. Archived from the original on November 18, 2009. Retrieved October 17, 2009. ↑ "The Departed (2006)". The-Numbers. Archived from the original on March 3, 2014. Retrieved August 4, 2010. ↑ "2006 Winners". International Press Academy. Archived from the original on June 28, 2015. Retrieved August 3, 2015. ↑ "The 13th Annual Screen Actors Guild Awards". Screen Actors Guild Awards. Archived from the original on December 4, 2012. Retrieved July 8, 2015. ↑ Cashin, Rory (June 18, 2013). "Opinion: Why has Leonardo DiCaprio never won an Oscar?". The Irish Times. Archived from the original on July 7, 2015. Retrieved July 8, 2015. ↑ "Body of Lies (2008)". Rotten Tomatoes. Archived from the original on February 15, 2008. Retrieved February 20, 2008. ↑ "Body Of Lies(2008)". The-Numbers. Archived from the original on December 8, 2013. Retrieved July 20, 2010. ↑ Wong, Grace (January 23, 2009). "DiCaprio Reveals Joys Of Fighting With Winslet". CNN. Archived from the original on November 5, 2012. Retrieved January 23, 2009. ↑ McGrath, Charles (December 14, 2008). "Kate! Leo! Gloom! Doom! Can It Work?". The New York Times. Archived from the original on January 21, 2012. Retrieved May 27, 2009. ↑ Guzmán, Rafer (December 18, 2008). "Leonardo DiCaprio, Kate Winslet in 'Revolutionary Road'". Newsday. Archived from the original on March 6, 2016. Retrieved August 11, 2015. ↑ "Revolutionary Road (2008)". Rotten Tomatoes. Archived from the original on February 15, 2008. Retrieved February 20, 2008. ↑ "Complete List of Nominations for 2009 Golden Globes". E!. December 11, 2008. Archived from the original on July 25, 2015. Retrieved July 8, 2015. ↑ "Shutter Island (2010)". Box Office Mojo. Archived from the original on January 14, 2016. Retrieved May 20, 2013. ↑ Sheila, Marikar (July 16, 2010). "Inside 'Inception': Could Christopher Nolan's Dream World Exist in Real Life? Dream Experts Say 'Inception's' Conception of the Subconscious Isn't Far From Science". ABC News. Archived from the original on July 13, 2015. Retrieved July 31, 2015. ↑ Honeycutt, Kirk (October 14, 2010). "Inception – Film Review". The Hollywood Reporter. Archived from the original on July 8, 2015. Retrieved August 11, 2015. ↑ "Inception (2010)". Box Office Mojo. Archived from the original on May 8, 2013. Retrieved May 20, 2013. ↑ Bacardi, Francesca (January 22, 2014). "Jonah Hill Was Paid $60,000 for 'Wolf of Wall Street'". Variety. Archived from the original on July 11, 2015. Retrieved July 30, 2015. ↑ "Leonardo DiCaprio Movie Box Office Results". Boxofficemojo.com. Retrieved December 1, 2017. ↑ Sperling, Nicole (March 10, 2010). "Clint Eastwood to direct J. Edgar Hoover biopic". Entertainment Weekly. Archived from the original on September 19, 2015. Retrieved August 11, 2015. ↑ Judge, Michael (January 29, 2011). "A Hollywood Icon Lays Down the Law". The Wall Street Journal. Archived from the original on January 25, 2015. Retrieved February 18, 2011. ↑ "J. Edgar (2011)". Rotten Tomatoes. Archived from the original on November 11, 2011. Retrieved November 10, 2011. ↑ Ebert, Roger (November 8, 2011). "J. Edgar". Chicago Sun-Times. Archived from the original on May 1, 2013. Retrieved November 9, 2011. ↑ 'Twilight' director Catherine Hardwicke talks new project: 'The Girl With the Red Riding Hood'. FanGirlTastic.com. Retrieved January 6, 2011. ↑ Bradshaw, Peter (January 18, 2013). "Django Unchained – review". The Guardian. Archived from the original on September 13, 2015. Retrieved August 11, 2015. ↑ "Quentin Tarantino's 'Django Unchained': How Panic Attacks and DiCaprio's Real Blood Made a Slavery Epic Better". The Hollywood Reporter. Archived from the original on March 9, 2016. Retrieved February 28, 2016. ↑ "Django Unchained". Flixster. Rotten Tomatoes. Archived from the original on December 30, 2012. Retrieved December 31, 2012. ↑ "Django Unchained (2012)". Box Office Mojo. Archived from the original on June 27, 2013. Retrieved June 22, 2013. ↑ "The Great Gatsby (12A)". British Board of Film Classification. February 25, 2013. Archived from the original on January 16, 2014. Retrieved February 25, 2013. ↑ McClintock, Pamela (August 6, 2012). "Warner Bros. Moves 'Great Gatsby' to Summer 2013". The Hollywood Reporter. Archived from the original on August 6, 2012. Retrieved August 6, 2012. ↑ "The Great Gatsby". Metacritic. Archived from the original on November 22, 2011. Retrieved July 6, 2013. ↑ Guzman, Rafer (May 10, 2013). "The Great Gatsby' review: A good 'Gatsby,' but a great Leonardo DiCaprio". Newsday. Archived from the original on July 30, 2013. Retrieved July 6, 2013. ↑ Seitz, Matt Zoller (May 8, 2013). "The Great Gatsby Review". RogerEbert.com. Archived from the original on July 23, 2013. Retrieved July 7, 2013. ↑ "The Great Gatsby (2013)". Box Office Mojo. Amazon.com. Archived from the original on July 3, 2013. Retrieved July 6, 2013. ↑ "Baz Luhrmann". Box Office Mojo. Archived from the original on September 21, 2013. Retrieved September 15, 2013. ↑ "Leonardo DiCaprio and Martin Scorsese reunite for 'The Wolf of Wall Street'". HitFix. March 15, 2012. Archived from the original on April 18, 2012. Retrieved April 15, 2012. ↑ "TOLDJA! Martin Scorsese, Leonardo DiCaprio Commit To 'The Wolf Of Wall Street'". Deadline.com. April 19, 2012. Archived from the original on August 30, 2014. Retrieved April 19, 2012. ↑ "The Wolf of Wall Street: a walking tour". The Daily Telegraph. Archived from the original on April 4, 2016. Retrieved August 11, 2015. ↑ Eby, Margaret (October 30, 2013). "'The Wolf of Wall Street' second trailer debuts; movie will open on Christmas Day". Daily News. New York. Archived from the original on December 22, 2013. Retrieved December 21, 2013. ↑ "Golden Globes 2014: Leonardo DiCaprio wins Best Actor for The Wolf of". The Independent. January 13, 2014. Retrieved March 5, 2018. ↑ "Leonardo DiCaprio plans to take break from acting". CBS News. January 22, 2013. Archived from the original on April 2, 2015. Retrieved August 11, 2015. ↑ Arem, Nat. "Post Trip Update". natarem.com. Archived from the original on November 19, 2013. Retrieved November 27, 2013. ↑ "Key Players: Poker Scandal". The Washington Post. Retrieved November 27, 2013. ↑ Arem, Nat. "Absolute Poker Cheating Scandal". Natarem.com. Archived from the original on March 13, 2008. Retrieved November 27, 2013. ↑ "Virunga National Park". World Heritage List. UNESCO. Retrieved August 20, 2014. ↑ Reuters Staff (April 23, 2014). "Oil firm Soco to begin seismic testing in Congo's Virunga park". Reuters. Thomson Reuters. Retrieved August 20, 2014. ↑ Kit, Borys (April 15, 2014). "Leonardo DiCaprio, Alejandro Gonzalez Inarritu Team Up for 'Revenant'". The Hollywood Reporter. Archived from the original on October 15, 2014. Retrieved September 8, 2014. ↑ "Review: 'The Revenant' A Mesmerizing, Brilliant Film". Forbes. December 11, 2015. Archived from the original on January 31, 2016. Retrieved December 10, 2015. ↑ Lee, Benjamin (November 23, 2015). "The Revenant: first reactions to DiCaprio thriller suggest Oscar potential". The Guardian. Archived from the original on December 13, 2015. Retrieved December 14, 2015. ↑ Keegan, Rebecca (November 23, 2015). "Leonardo DiCaprio's 'The Revenant' is a brutal test for awards voters". Los Angeles Times. Archived from the original on December 14, 2015. Retrieved December 14, 2015. ↑ "Leonardo DiCaprio finally claims his Best Actor Award, and Spotlight wins Best Picture". The Daily Telegraph. February 29, 2016. Archived from the original on February 29, 2016. ↑ "Golden Globes 2015: The complete list of nominees and winners". Los Angeles Times. December 10, 2015. Archived from the original on June 23, 2016. Retrieved December 10, 2015. ↑ "DiCaprio-produced documentary about solar makes Netflix debut". MNN - Mother Nature Network. Retrieved July 23, 2018. ↑ "This Is the Most Important Issue That's Not Being Talked About in This Election". Esquire. November 7, 2016. Retrieved November 10, 2016. ↑ Times, Los Angeles. "Leonardo DiCaprio crosses the globe in the climate change documentary 'Before the Flood'". latimes.com. Retrieved November 1, 2016. ↑ "Guarda Before the Flood, il documentario di DiCaprio contro il cambiamento climatico - Wired". Wired (in Italian). October 30, 2016. Retrieved November 1, 2016. ↑ "Volkswagen emissions scandal headed for Hollywood". Reuters. Archived from the original on December 8, 2015. Retrieved October 18, 2015. ↑ "Leonardo DiCaprio To Play Music Pioneer Sam Phillips; Launched Elvis, Howlin' Wolf, Johnny Cash & Jerry Lee Lewis". DEADLINE. Archived from the original on October 22, 2016. ↑ Busch, Anita (January 31, 2017). "Paramount Acquires 'The Black Hand' For Leonardo DiCaprio To Star For The Gotham Group And Appian Way". Deadline.com. Retrieved December 1, 2017. ↑ "Leonardo DiCaprio to star in film about the precursor to the American Mafia". Independent.co.uk. February 1, 2017. Retrieved December 1, 2017. ↑ "Leonardo DiCaprio to star in and produce The Black Hand". Dailymail.co.uk. Retrieved December 1, 2017. ↑ Jr, Mike Fleming (August 12, 2017). "Update: Paramount Wins Leonardo Battle: Lands Walter Isaacson Da Vinci Book For DiCaprio". Deadline. Retrieved August 28, 2017. ↑ Knapp, JD (August 12, 2017). "Paramount Wins Bidding War for Leonardo da Vinci Biopic Starring Leonardo DiCaprio". Variety. Retrieved August 28, 2017. ↑ "Leonardo DiCaprio to Star in Quentin Tarantino's Charles Manson Movie". rollingstone.com. January 12, 2018. Retrieved January 14, 2018. ↑ "Leonardo DiCaprio and Martin Scorsese to Reteam on 'Killers of the Flower Moon'". www.msn.com. Retrieved October 25, 2018. ↑ Kroll, Justin (October 24, 2018). "Leonardo DiCaprio and Martin Scorsese to Reteam on 'Killers of the Flower Moon'". Variety. Retrieved October 25, 2018. ↑ Brennan, Morgan. "Leonardo DiCaprio: Celebrity 100 Homes". Forbes. Archived from the original on June 29, 2013. Retrieved July 13, 2013. ↑ Beale, Lauren (March 7, 2014). "Leonardo DiCaprio buys Dinah Shore's onetime desert home". Los Angeles Times. Archived from the original on July 6, 2015. Retrieved August 11, 2015. ↑ Hiatt, Brian (August 5, 2010). "Leonardo DiCaprio Faces His Demons". Rolling Stone. Archived from the original on November 2, 2016. ↑ Miller, Tracy (January 2, 2010). "Leonardo DiCaprio and Sports Illustrated model Bar Refaeli hook up again for New Year's". Daily News. New York. Archived from the original on November 2, 2012. Retrieved January 6, 2010. Leo and Bar also enjoyed a "secret" romantic getaway in the Bahamas in late November, according to multiple reports, sparking rumors they'd decided to work it out. ↑ "Leonardo DiCaprio Girlfriend: Before Dating Toni Garrn In 2013, Leo Was Linked To Baby Spice Emma Bunton In The '90s!". Fashion Style. Archived from the original on January 4, 2017. Retrieved January 4, 2017. ↑ "Emma Bunton: My only dream is for my children to be healthy". Daily Express. Retrieved January 4, 2017. ↑ "Gisele Bündchen biography". People. Archived from the original on July 10, 2014. Retrieved June 29, 2014. ↑ "Leo and Bar. What's Going On?". Ynetnews. July 18, 2006. Archived from the original on October 8, 2008. Retrieved August 15, 2008. ↑ Norman, Pete (March 19, 2007). "Israeli Leader Asks Leonardo DiCaprio for Help – Leonardo DiCaprio". People. Archived from the original on January 9, 2011. Retrieved January 7, 2011. ↑ "Leonardo DiCaprio, Camila Morrone reignite romance". The Times of India. March 31, 2018. ↑ "Leo DiCaprio still dating 20-year-old model". Pagesix.com. March 30, 2018. ↑ Daunt, Tina (October 2, 2012). "Julianne Moore, Leonardo DiCaprio and 20+ Other Stars Make Campaign Appeals to Voters (Video)". The Hollywood Reporter. Archived from the original on February 2, 2016. Retrieved August 11, 2015. ↑ Editorial, Reuters. "DiCaprio returns Brando Oscar as part of Malaysian laundering probe". U.S. Retrieved September 17, 2018. ↑ hermesauto (June 19, 2017). "Leonardo DiCaprio turns over Marlon Brando Oscar, other gifts allegedly bought with 1MDB funds". The Straits Times. Retrieved September 17, 2018. ↑ "Malaysia money laundering probe: Leonardo DiCaprio returns Brando's Oscar, Picasso painting". The Economic Times. June 18, 2017. Retrieved September 17, 2018. ↑ "Debt for Nature Swaps". UNDP. Retrieved December 1, 2017. ↑ "LDF Supports First Ever Debt-for-Nature Swap in Seychelles". Leonardodicaprio.org. Retrieved December 1, 2017. 1 2 Satow, Julie (April 3, 2015). "Leonardo DiCaprio Builds an Eco-Resort". The New York Times. Archived from the original on June 23, 2015. Retrieved July 18, 2015. ↑ "12 actors who are vegetarian". Movie Pilot. Archived from the original on January 14, 2018. Retrieved January 14, 2018. ↑ "Hollywood Star Leonardo DiCaprio Set to Play Vegetarian Philosopher in New Movie!". LiveKindly. LiveKindly. Retrieved January 14, 2018. ↑ Armstrong, Olivia. "Interview With Directors Of 'Cowspiracy: The Sustainability Secret' On Netflix, A Controversial New Documentary". Decider.com. Archived from the original on August 28, 2015. Retrieved February 29, 2016. ↑ "Now That Leo Won the Oscar, It's Time You Watch His Vegan Documentary". Mercy of animals. Mercy of animals. Retrieved January 14, 2018. ↑ "DiCaprio-backed Cowspiracy directors find new conspiracy to milk". National Observer. National Observer. Retrieved January 14, 2018. ↑ "Leonardo DiCaprio gets the keys to a ,0,000 car — a hybrid". Los Angeles Times. August 18, 2011. Archived from the original on January 31, 2012. Retrieved March 8, 2012. ↑ "Do Something Awards". Do Something. Archived from the original on June 18, 2015. Retrieved July 15, 2010. ↑ "Summit agrees tiger recovery plan". BBC News. November 24, 2010. Archived from the original on September 9, 2015. Retrieved August 11, 2015. ↑ Hannamayj (November 25, 2010). "Vladimir Putin: Leonardo DiCaprio is 'A Real Man'". Time. Archived from the original on January 4, 2016. Retrieved August 11, 2015. ↑ "Leonardo Speaks Out For Tony: "We Need to Act Now"". Animal Legal Defense Fund. Archived from the original on August 7, 2013. Retrieved April 29, 2011. ↑ "Leonardo DiCaprio appointed UN climate change representative". BBC News. September 16, 2014. Archived from the original on September 24, 2014. Retrieved September 27, 2014. ↑ Mindock, Clark (November 1, 2016). "Leonardo DiCaprio's Climate Change Documentary 'Before The Flood' presented by National Geographic, features Leonardo DiCaprio on a journey as a United Nations Messenger of Peace, traveling to five continents and the Arctic to witness climate change firsthand. Can Be Watched For Free Online". International Business Times. Archived from the original on November 30, 2016. Retrieved November 30, 2016. ↑ Griffiths, Kadeen (February 29, 2016). "Transcript Of Leonardo DiCaprio's Oscars Acceptance Speech Gets Political About Climate Change". Bustle.com. Archived from the original on March 3, 2016. Retrieved March 1, 2016. ↑ Revesz, Rachael (April 30, 2017). "People's Climate March: Leonardo DiCaprio and other stars join thousands in rally against Donald Trump". Independent. Archived from the original on April 30, 2017. ↑ Levenson, Eric (April 29, 2017). "Climate protest takes on Trump's policies – and the heat – in DC march". CNN. ↑ Goldenberg, Suzanne (February 29, 2016). "How Leonardo DiCaprio became one of the world's top climate change champions". The Guardian. ISSN 0261-3077. Retrieved December 12, 2017. ↑ "Are celebrities helping or hurting the climate change conversation?". Christian Science Monitor. October 4, 2016. ISSN 0882-7729. Retrieved December 12, 2017. ↑ Anderson, Alison (Summer 2011). "Sources, media, and modes of climate change communication: the role of celebrities". Wiley Interdisciplinary Reviews: Climate Change. 2: 535–546 – via Maynooth University Library. ↑ "DiCaprio Computer Center Opens". Associated Press. April 9, 1999. Archived from the original on May 3, 2015. Retrieved November 2, 2014. ↑ Vena, Jocelyn (January 22, 2010). "Leonardo DiCaprio Donates $1 Million For Haiti Relief". MTV News. Archived from the original on August 18, 2015. Retrieved July 18, 2015. ↑ Malkin, Marc (April 23, 2013). "Leonardo DiCaprio Donates $61,000 to Support Gay Rights at Annual GLAAD Media Awards". E!. Archived from the original on September 8, 2015. Retrieved July 29, 2015. ↑ Erin Jensen (August 29, 2017). "Leonardo DiCaprio, the Kardashians, more celebs pledge donations for Hurricane Harvey relief efforts". USA Today. Retrieved July 15, 2018.